A western New York woman out walking her dogs was fatally shot by a hunter who mistook her for a deer, police said. My dad just yesterday gave me an article listing some hiking trails in the area that do not allow hunters. This after coming across hunters sitting directly on the hiking trail while I've been out hiking, twice. Happens every year. People run over their own children with cars too. Actually cars are dangerous to all people as soon as they are in motion. Guns are only dangerous when someone put his finger on the trigger. Unthinking people are dangerous 24/7/365. Why do you say that? People hunt hogs with handguns so why not deer? As to the shooter. He broke about four rules for hunting as well as at least hunting law. He makes the rest of us look bad. Throw the book at him. Hunter to spouse: "How was I supposed to know that was YOUR mother?" I support your right to hunt but there are all sorts of things wrong with what he did and he most certainly should have charges filed against him and a part of his sentence should be to completely ban him from owning a gun again. Why? Just determined to prove how little you know about guns? 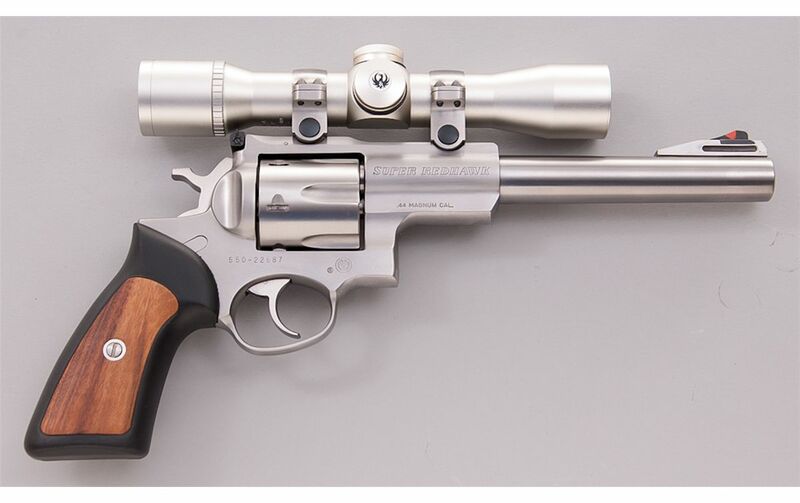 Just like you choose an appropriate rifle you choose an appropriate pistol. There is no reason not to hunt deer with a pistol vs a rifle or bow and arrow or crossbow, except in states where it's illegal with a crossbow.